After Kesha had lost the court battle to break her contract with her recording studio, the pop star received an outpouring of support from both fans and her fellow entertainers, including warm wishes from Lady Gaga, Lorde, and a $250,000 check from Taylor Swift. Now, for the first time after the court ruling forcing her to continue working with Sony, Kesha released a statement on social media. “A million times over and forever thank you. The support I have received has left my face swollen from tears,” the singer wrote. 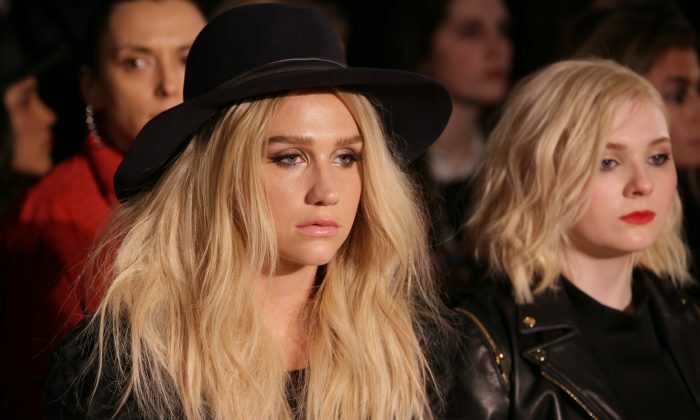 Kesha’s lawsuit has been framed as an attempt by the singer to not have to work with Dr. Luke, a music producer who allegedly sexually assaulted Kesha. Dr. Luke’s lawyers have argued that the case is really about money, as Kesha would be able to find a more lucrative contract with a record label that hasn’t invested millions in her already, and that Kesha isn’t being forced to work with Dr. Luke as her producer while at Sony.